Blo, North America’s original Blow Dry Bar, is your one stop shop to look runway ready for your big day! Blo offers both in bar and on location services for bridal hair styling, styling for the entire bridal party and even styling for the men to ensure they are looking dapper for the big day! 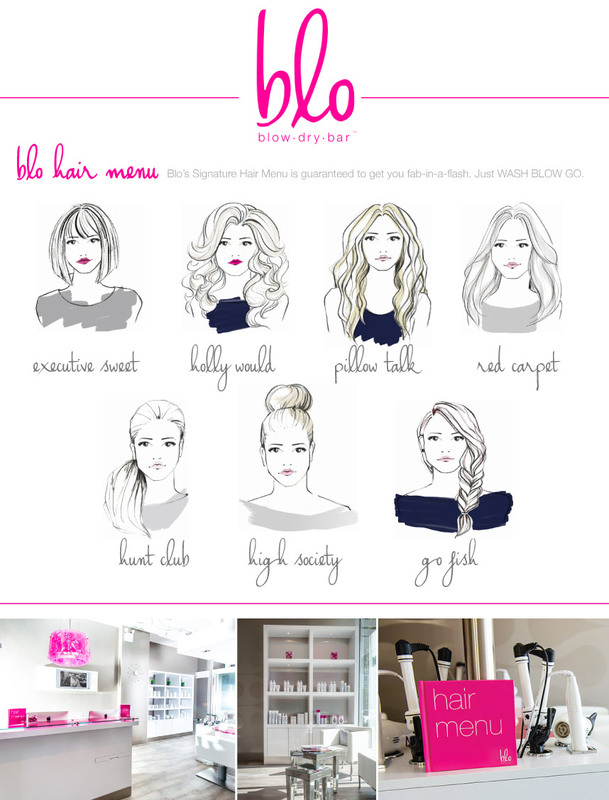 Check out these lovely looks featured in their Blo Hair Menu. We caught up with Athena from Blo Blow Dry Bar Austin to bring you the 411 on all things WASH BLO GO! To find out more details, pricing and to book your appointment, visit Blo online! Q: What advice do you have for a bride trying to find the perfect look? A: Make small decisions. Such as, do you want it up, down, half up or side swept. From there, look at pictures to show your stylist. 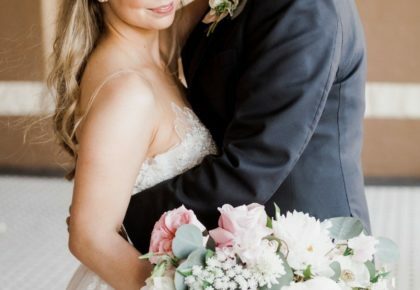 Trust that your stylist will have your best interests at heart and ask for their suggestions after showing them pictures of your dress, venue and wedding decor. Q: What are the advantages of doing a trial run before the big day? Q: What hair trends do you predict for the spring? A: Braids, and braided up-do’s are perfect spring looks. There are a million different ways to braid hair and give an effortlessly romantic look. Flowers incorporated into the hair is also a very effortlessly elegant look. Q: How can a bride keep her hair looking fresh and flawless throughout her wedding day? A: Allowing your stylist to use the appropriate amount of product on your hair can make or break a wedding day look. Wash your hair the night before and allow your stylist to prep your hair with a dry shampoo. Your style will hold better and look less frizzy. Q: What type of packages do you offer for the wedding party? 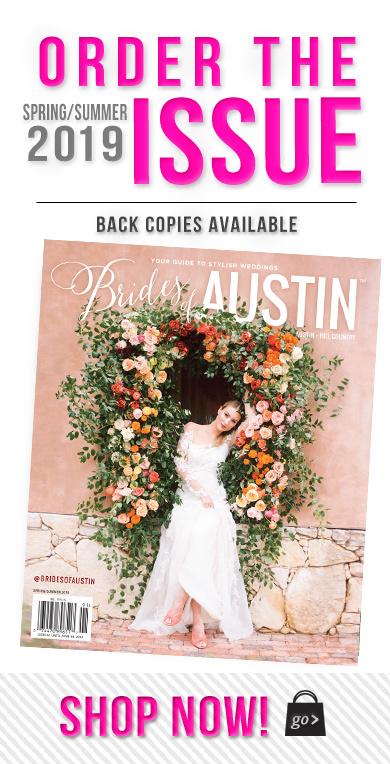 A: You have the option of simply booking appointments for your bridal party, or renting out Blo. To rent out a Blo, it is $640. That includes, eight Blo outs (& tax and tip.) Each guest can pick one of our seven signature styles from out hair menu. The exclusive use of our pretty pink space, plus an additional 30 minutes to set up, eat, drink and chat about your beautiful ‘do (A total of 1.5 hours.) You get access to our sound system so you can play your favorite tunes, two complimentary bottles of sparkling wine and use of our champagne flutes, and 20% off all retail purchases. Q: Any other helpful beauty tips for the brides-to-be? 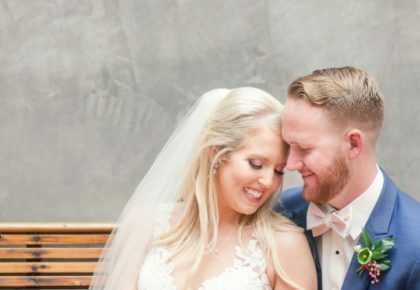 A: Be sure to show your stylist your wedding dress, accessories, venue decor, an idea of how you are going to do your make up, and tell them if you will be wearing a veil or not. Be vocal about any insecurities (you feel your forehead is to big, ears stick out to much, etc.) This will allow your stylist to customize the perfect look for you! Q: What else should brides know about Blo? A: We are here to make you happy, and would love to help you celebrate your most beautiful self. We can satisfy all your styling needs!! « Previous Post: Floral Artistry from Petals, ink.